Hitler. The original emo kid. All other emos are traitors. They hurt themselves and forgot to hurt others! That made me laugh too. Hey, we should make an RP entitled 'Hitler: Chronicles of an Emo'. 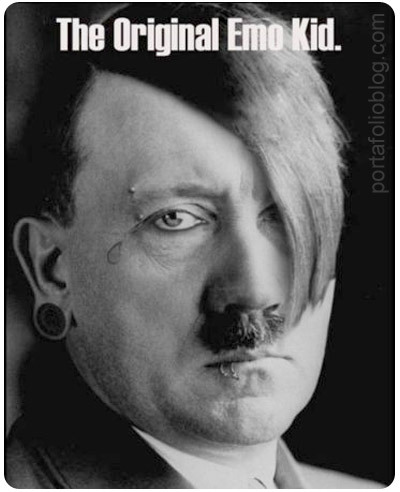 Hitler is most def the ultimate emo! Yes, I do say so.